I like big SUVs and I cannot lie. That of course doesn’t work as well as the rap song, but it is true. In the world now dominated by SUVs, I’d rather have a huge SUV than none at all. And no, I don’t have a Napoleon complex, or a small, well you know… (at least that’s according to my wife who describes that certain appendage as ‘adequate’). The point is that, in my world at least, big SUVs are the rule; and when they first became popular that was the rule. 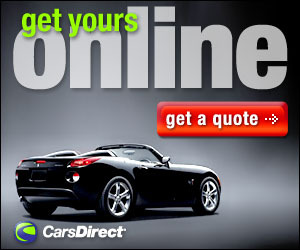 But as more people bought SUVs, they became smaller, then we had crossovers which are really just sedans on steroids. I’ve driven plenty of SUVs, or at least vehicles that called themselves that. “SUVs” that didn’t have much more room inside then a big sedan; ones that could barely haul five people and a couple of bags of groceries. I want an SUV that can haul other vehicles that call themselves “SUVs”. One that can carry 8 football players with room left over for the camping gear. One like the GMC Yukon. 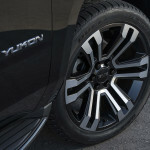 The Yukon is an SUV in the truest sense. It can seat 8 football players, and there’s enough room in the back to carry a Mini Cooper when the seats are folded down. And when that Yukon is the XL Denali, it gets even better. 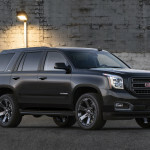 The GMC Yukon is already big (116-inch wheelbase), the XL Denali stretches that out another 14 inches to 130. 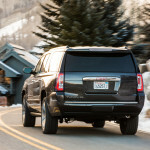 Inside the XL Denali there’s 122.4 cubic feet of passenger room as compared to the 120.8 of the Yukon. There’s also 39.3 cubic feet of cargo space with the seats up. The Yukon has 15.3 when the seats are up. 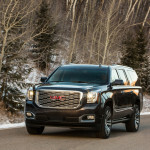 When the seats are down in the Denali there’s 121.7 cubic feet of maximum cargo space. Oh, and it can tow up to 8,300 pounds. 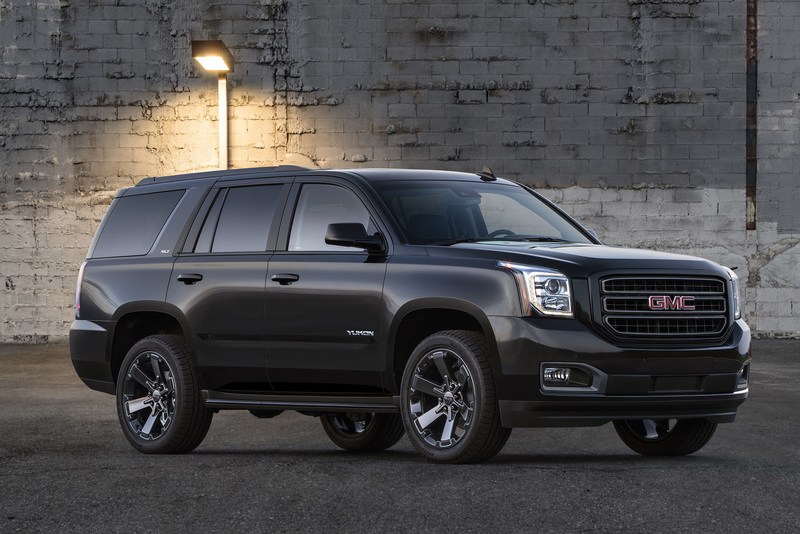 You can get the Yukon XL in SLE, SLT and Denali trim levels. The base SLE has a 5.3-liter V8 engine (355 horsepower, 383 pound-feet of torque) with a a six-speed automatic transmission. 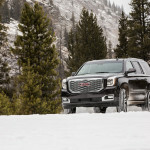 Rear-wheel drive is standard, and four-wheel drive is optional. The SLT trim is can be had with either the SLT Standard Edition or SLT subtrims. For 2019, the SLT also gets two new optional packages. The Graphite Edition package adds 22-inch wheels and blacked-out exterior trim (on the side steps and grille), and the Graphite Performance Edition adds more performance and comfort with a 6.2-liter V8 engine (420 hp, 460 lb-ft of torque), a 10-speed transmission, a heavy-duty alternator, Magnetic Ride Control adaptive dampers, and a head-up display, among other very nice things. 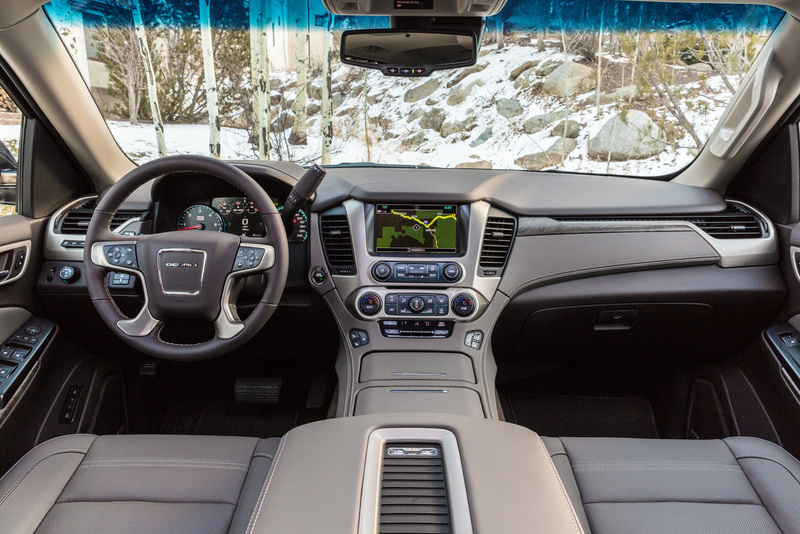 Standards nice things include a 110-volt power outlet, an 8-inch touchscreen interface, a rearview camera, Bluetooth, OnStar communications (with a 4G LTE connection and Wi-Fi hotspot), Apple CarPlay and Android Auto, and a nine-speaker Bose audio system with CD player, satellite and HD radio and five USB inputs. 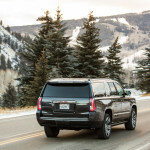 Opting for the top of the line Denali will get you everything from the Graphite Performance Edition, and 20-inch wheels, a two-speed transfer case (4WD models), xenon headlights, a trailer brake controller, power-folding second-row bucket seats, a navigation system, a wireless smartphone charging pad and a 10-speaker Bose surround-sound system. 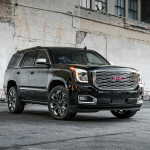 GMC sent me the 2019 XL Denali for a recent week with the optional Denali Ultimate package that bundles 22-inch wheels, a sunroof, power side steps, adaptive cruise control, a rear seat entertainment system with DVD player, and an extended satellite radio and traffic information subscription, and much more. It was a week that included a short road trip from Orlando to Miami. 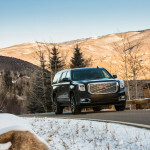 Something that the Yukon excels at, and something the XL Denali shines ever brighter at. Yes, it’s big and if you never left the confines of the city, you’d probably like it as much as you liked the great aunt you had has a kid; the one who always pinched your cheeks and sent you socks or a $2 bill for Christmas. But if you live in suburbia or take more than a couple of road trips a year this SUV is worth considering. On the highway it floats along like a cruise ship and the 6.2-liter V8 and the 10-speed transmission have no problem keeping up. With a 31-gallon fuel tank and 23 miles per gallon trips to the pump will be few and far between. 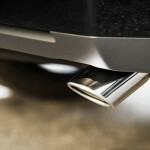 Yes, you will pay a bit more when you do fill it up, but with a range of over 500 miles you’ll be doing that less often. No, you won’t always be parking in the first spot you find, but surprisingly it takes little getting used to when it comes to parking lots and smaller spaces. On the road you’ll occupy an entire lane, have excellent visibility, and get the respect of those who drive smaller things, which you will learn is just about everyone. I was in Miami to work the final race of the NASCAR season, and prior to leaving Orlando I threw a sleeping bag in the bag in case my hotel reservations fell through; they didn’t but I was quite confident that should I need a place to sleep I’d have enough room to stretch out, with room left over to invite a few friends, or hold a rave for the fans in the infield, although cleaning up all that glitter would have been tough I imagine. All in all, it was a glorious week and I found nothing the Yukon XL Denali could not handle including navigating around the infield of Homestead-Miami Speedway in tight confines and slipping into a normal parking space. It’s good to know a real SUV still exists. 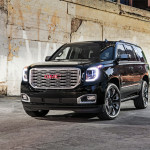 One that really is an SUV; big vehicles that could haul 8 football players with room left over for their equipment while towing many of the other “SUVs” on the market with ease. 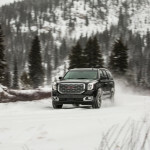 So drive your crossover’s, your SUVs that aren’t really SUVs… I’ll be in the back of a Denali dropping beats and wondering how the hell I’m going to clean up all that glitter. Basic: 3 yr./ 36000 mi. Drivetrain: 5 yr./ 60000 mi. Free maintenance: 2 yr./ 24000 mi. Roadside: 5 yr./ 60000 mi. Rust: 6 yr./ 100000 mi.